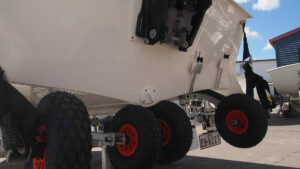 With weights starting at 180kg, the 4.5m Lapstrake is light, strong, stable and very fast. 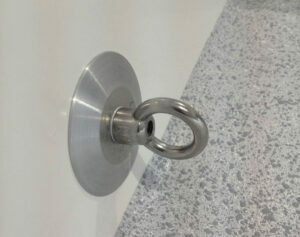 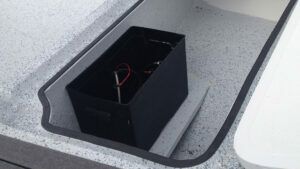 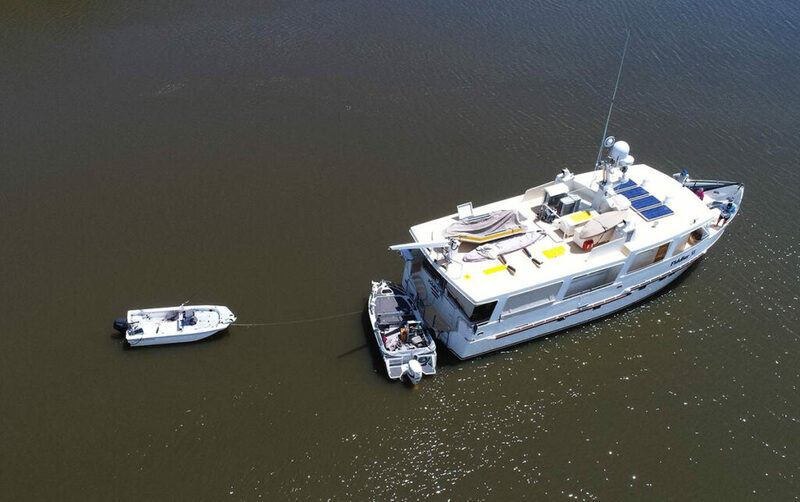 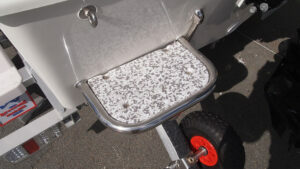 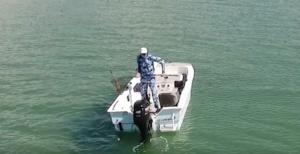 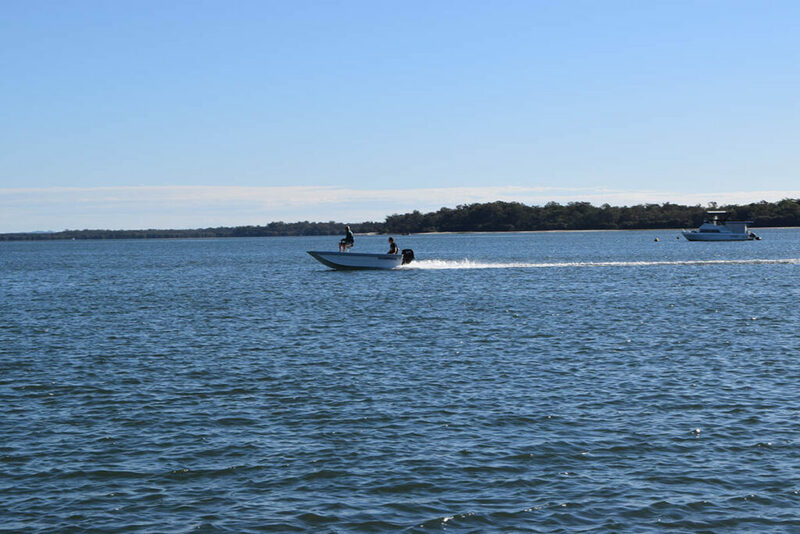 There's a reason the outboard manufacturer's want to do their fuel tests with our boats. 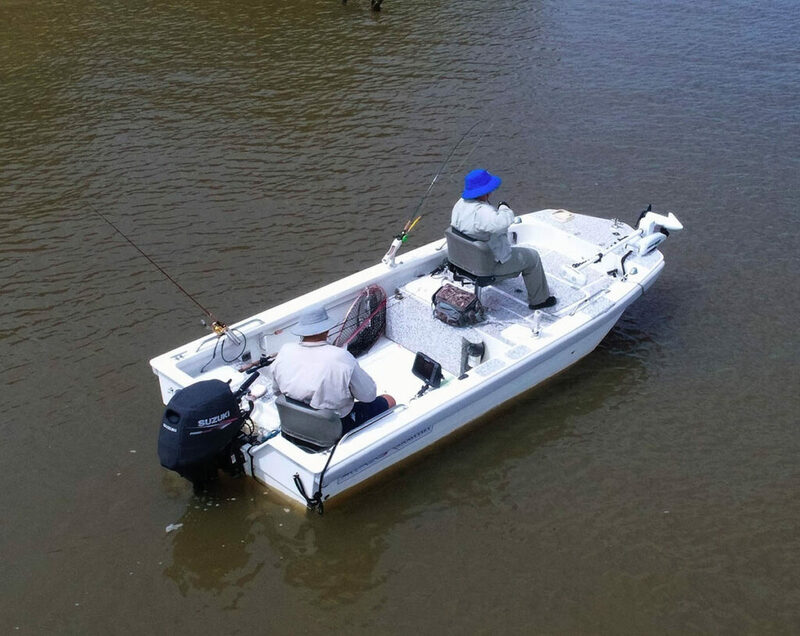 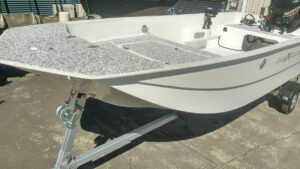 A bass boat, creek boat, bay boat, all in one! 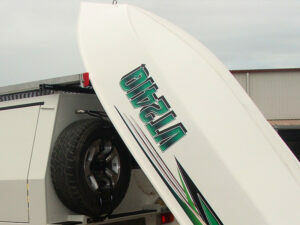 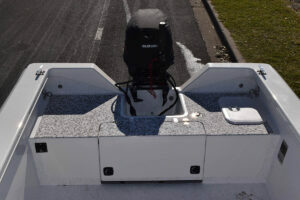 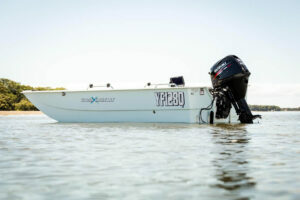 Looking for a bass boat? 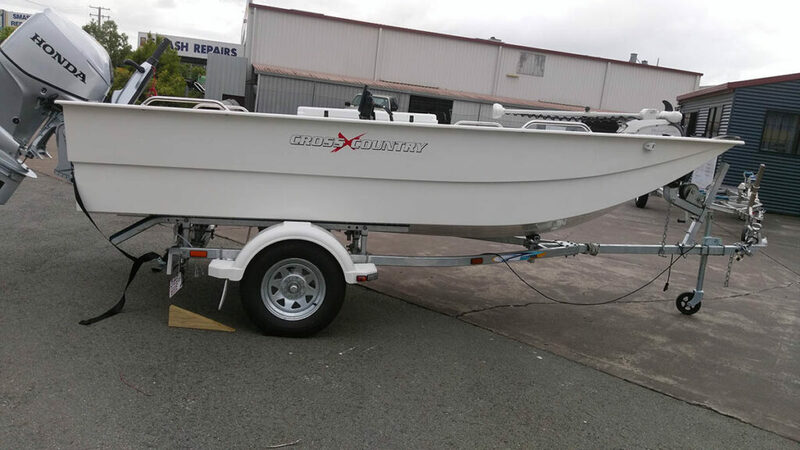 Or maybe catching snapper in the bay? 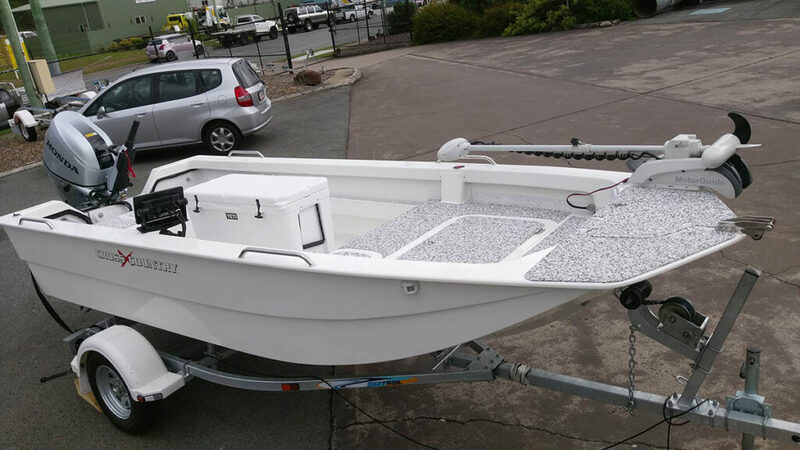 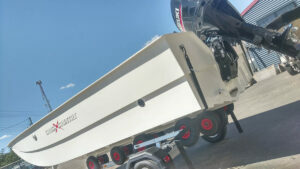 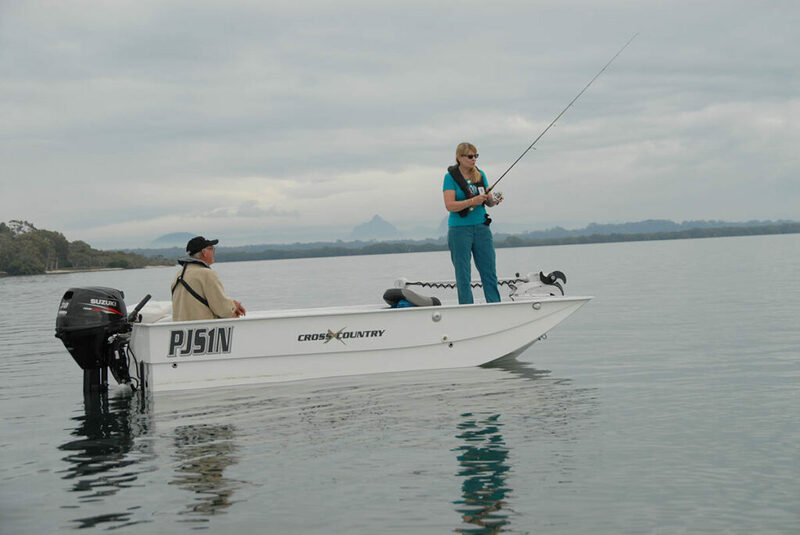 Meet the 4.5m Lapstrake, the ultimate fibreglass fishing boat. It pretty much does it all, and it does it extremely well. 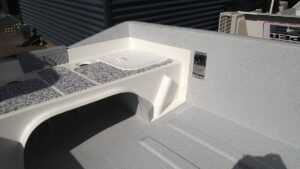 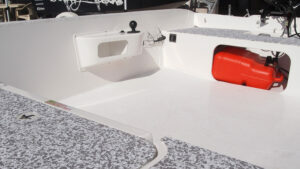 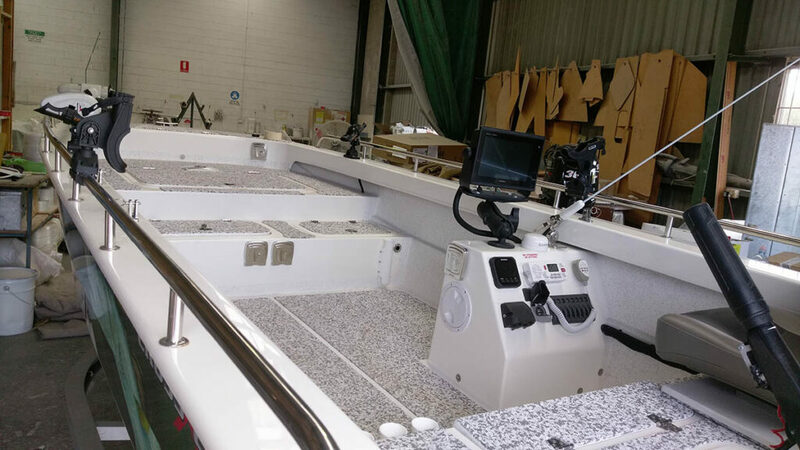 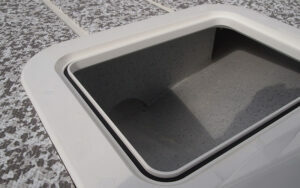 The 4.5m Lapstrake is a serious fibreglass fishing boat. 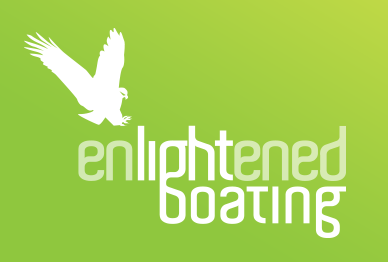  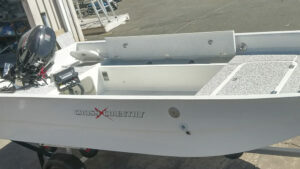 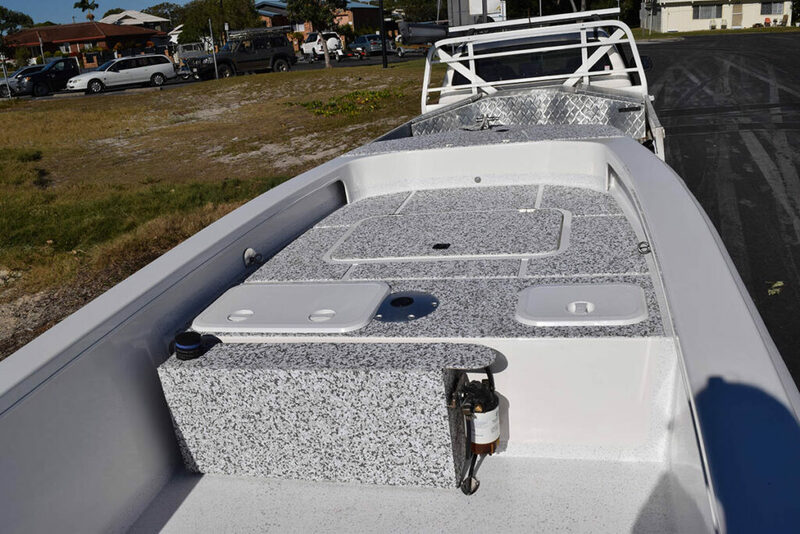 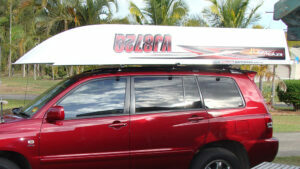 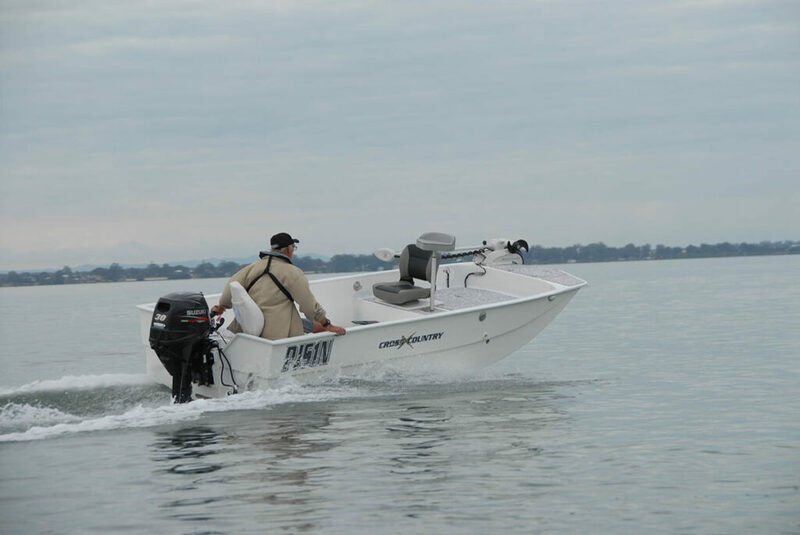 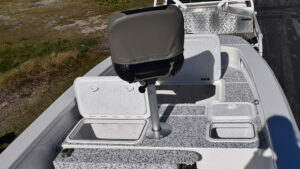 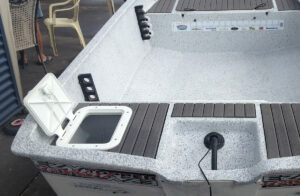 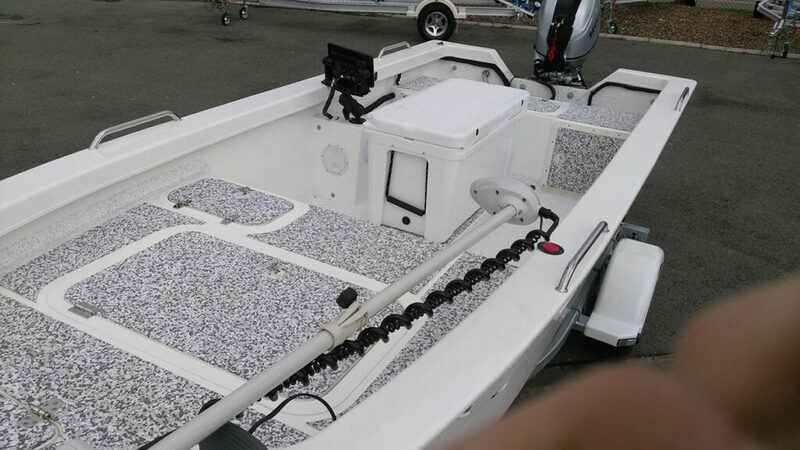 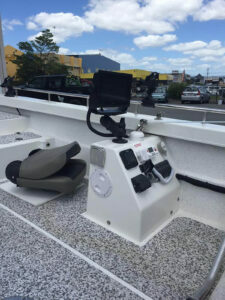 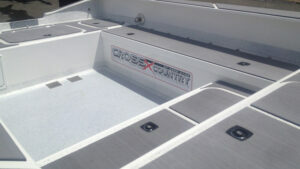 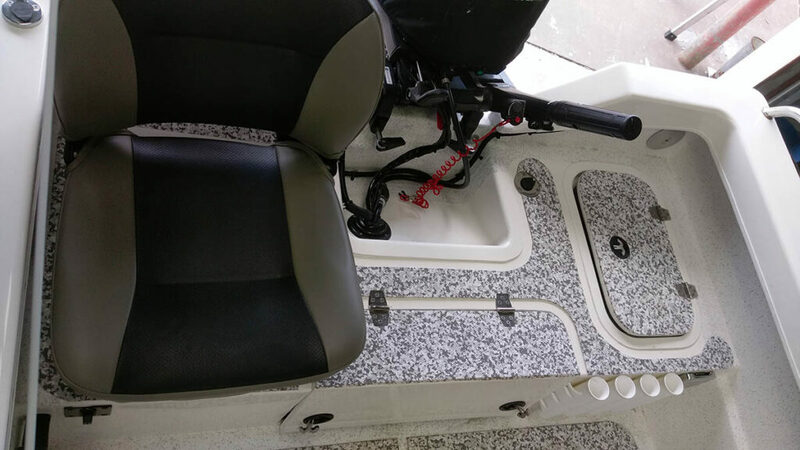 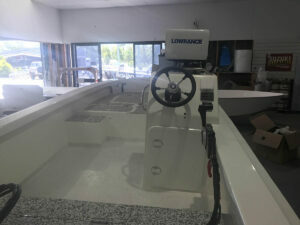 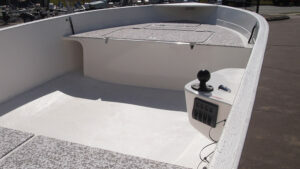 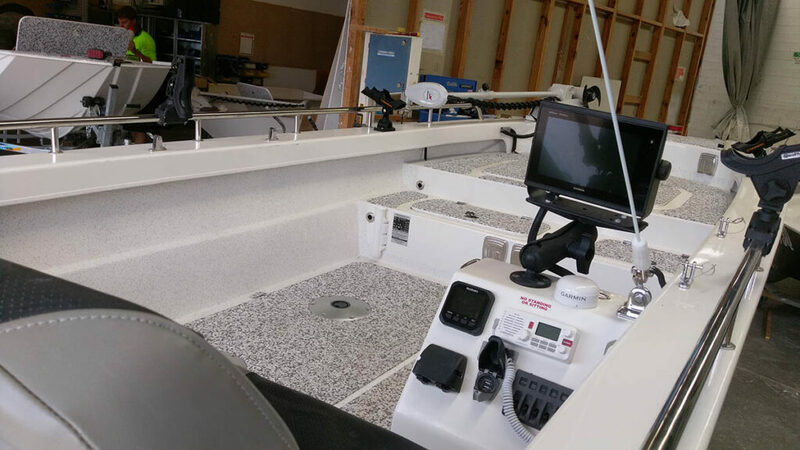 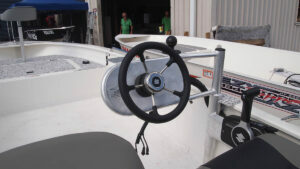 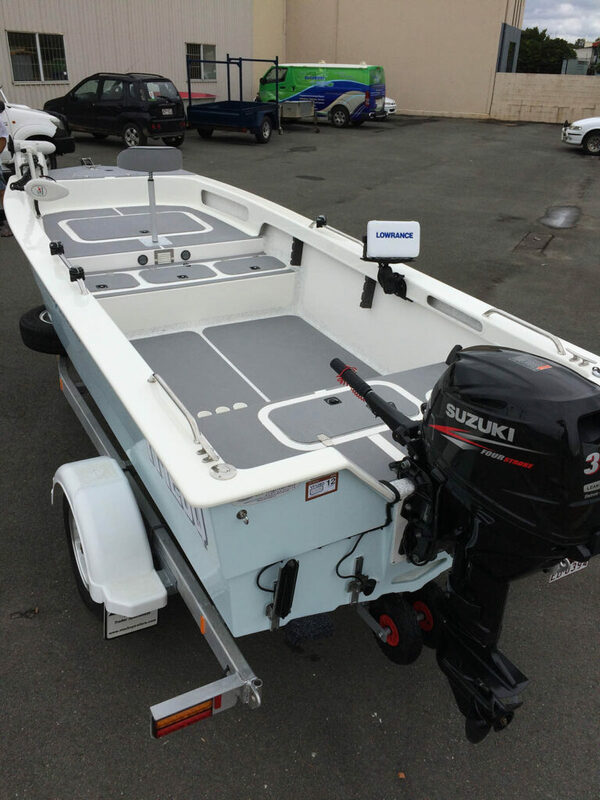 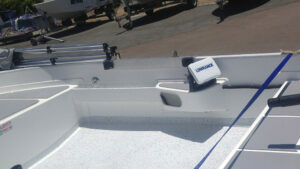 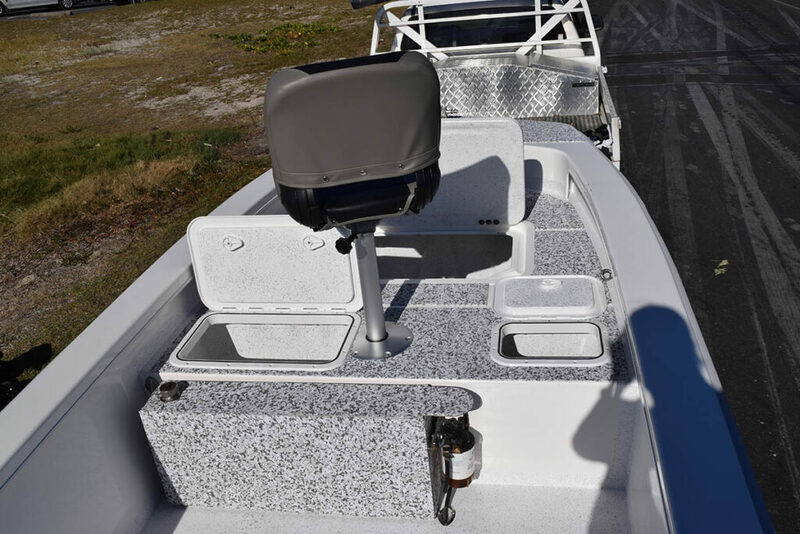 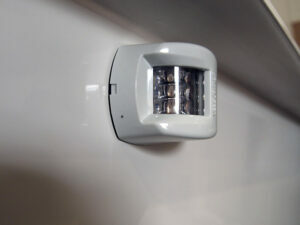 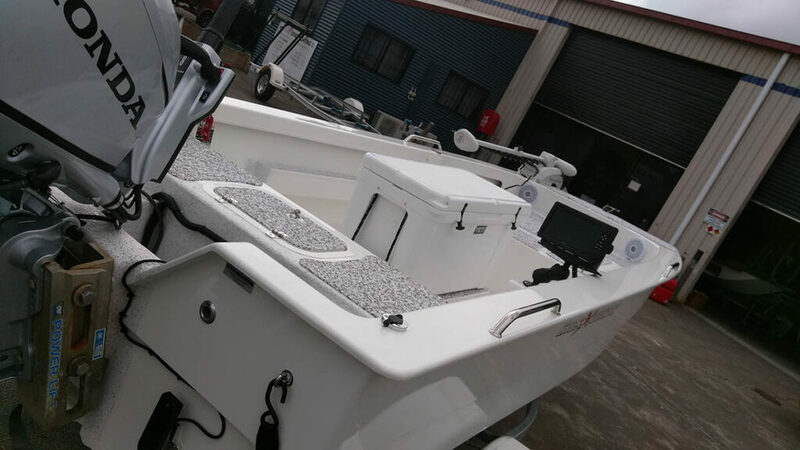 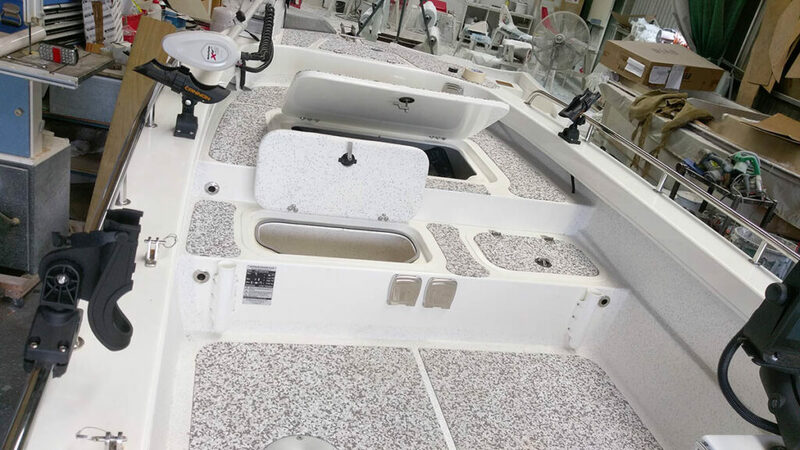 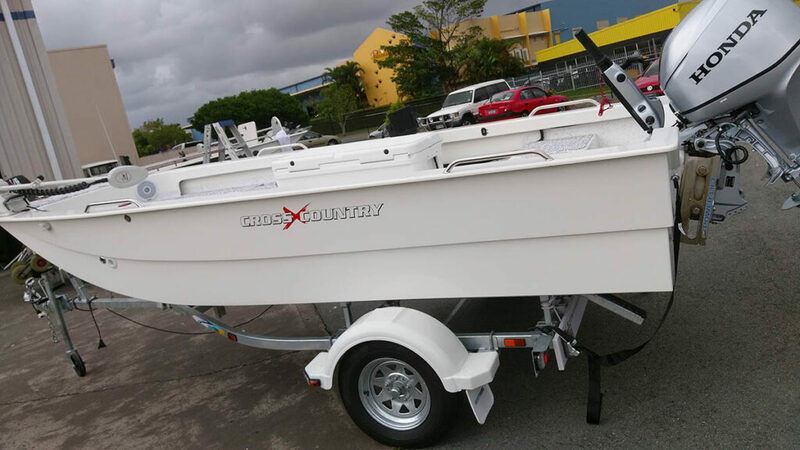 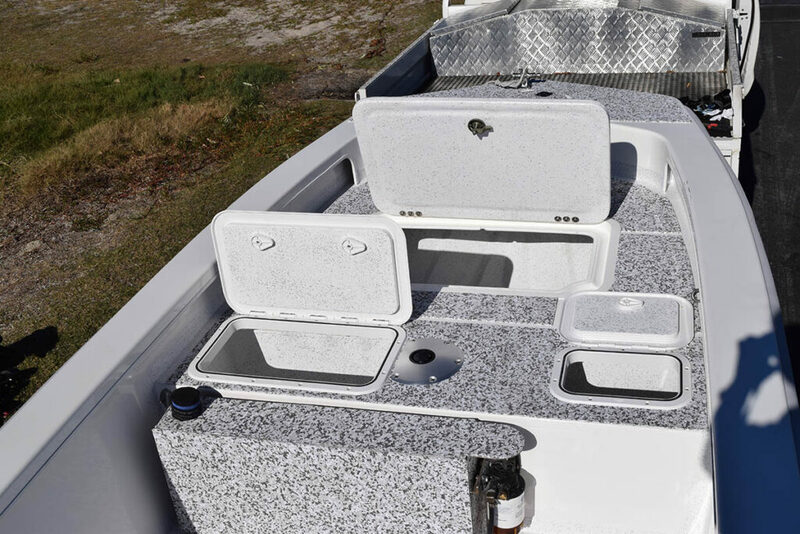 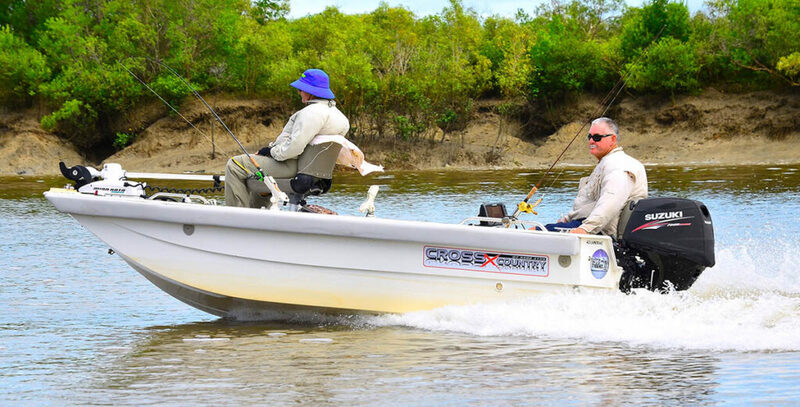 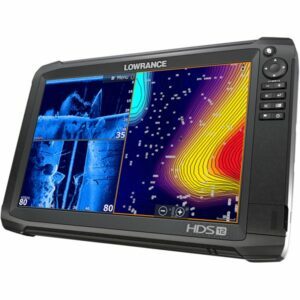 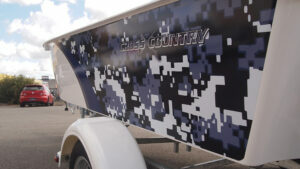 This boat was designed and developed for serious anglers wanting the best estuary and bay fishing boat. 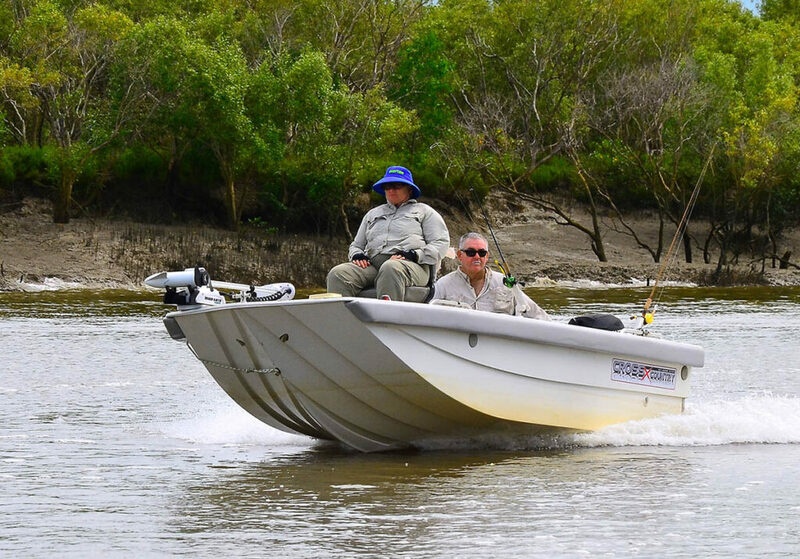 From chasing Snapper in the bay, to sneaking up on Bream in the estuaries, the 4.5m Lapstrake well get you to the best fishing spot, fast. 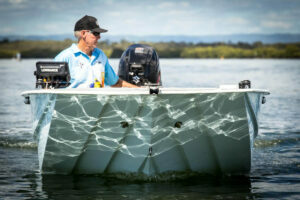 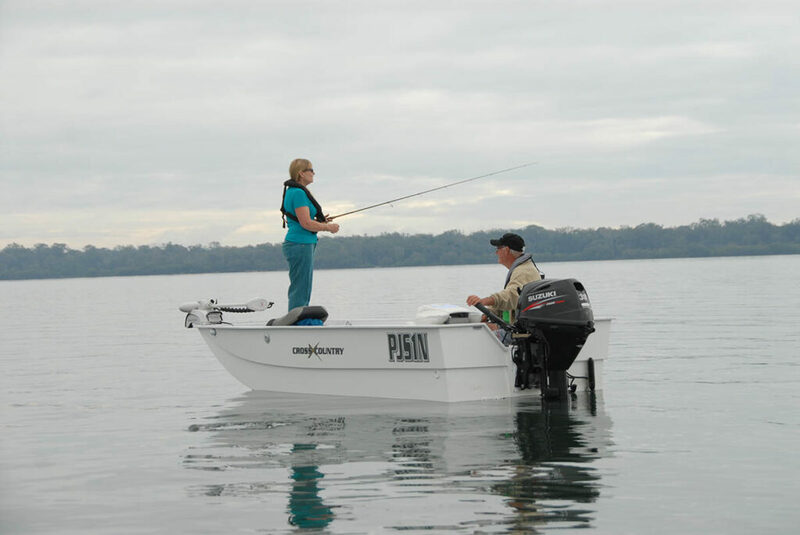 Read more about what makes the perfect bass boats. 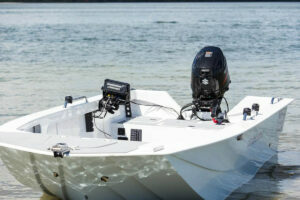 There’s a reason the outboard manufacturer’s want to do their fuel tests with our boats. 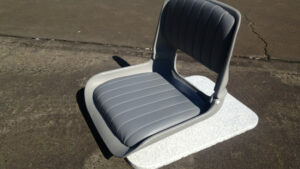 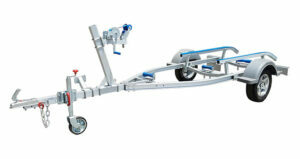 With weights starting at 180kg, the 4.5m Lapstrake is notoriously called the ‘skeeter beater’ around the work shop. 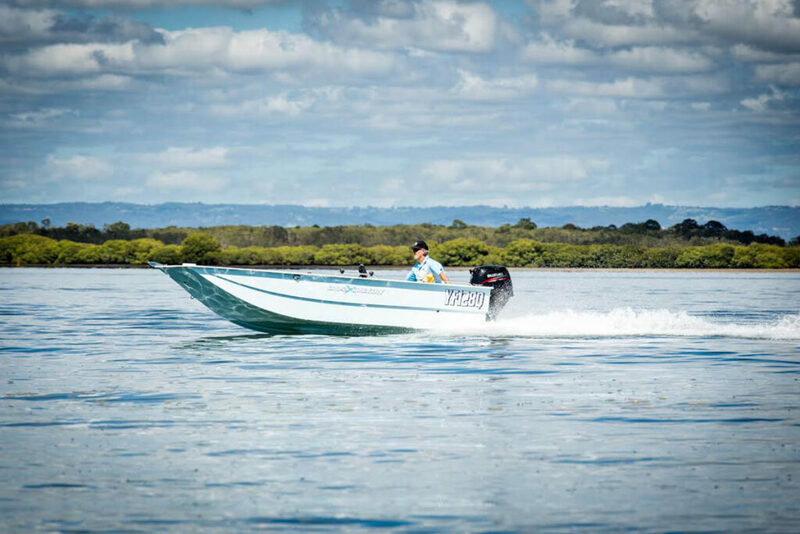 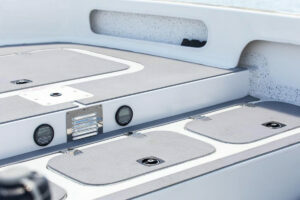 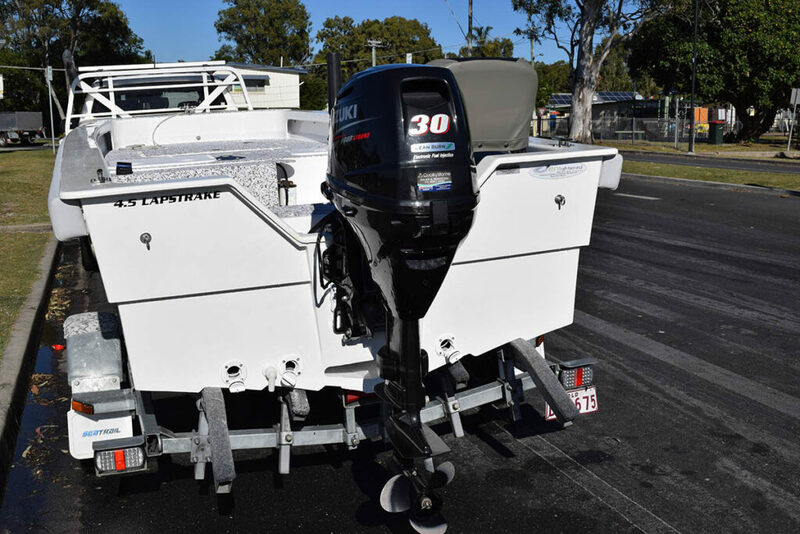 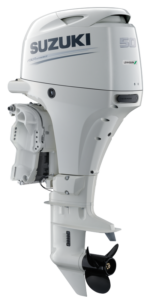 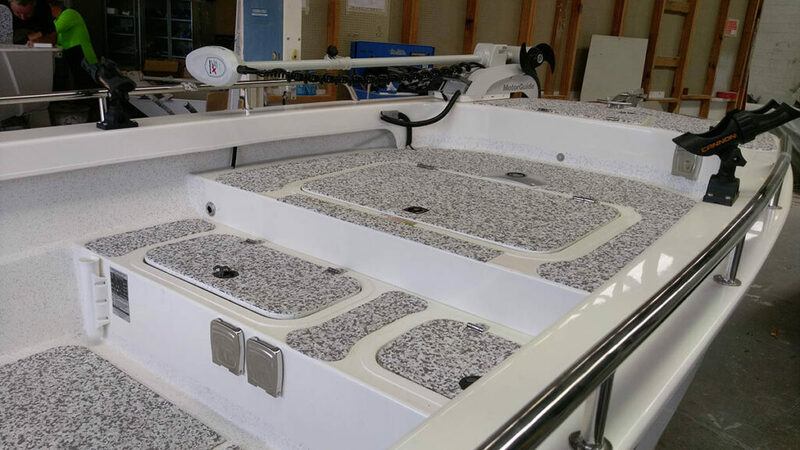 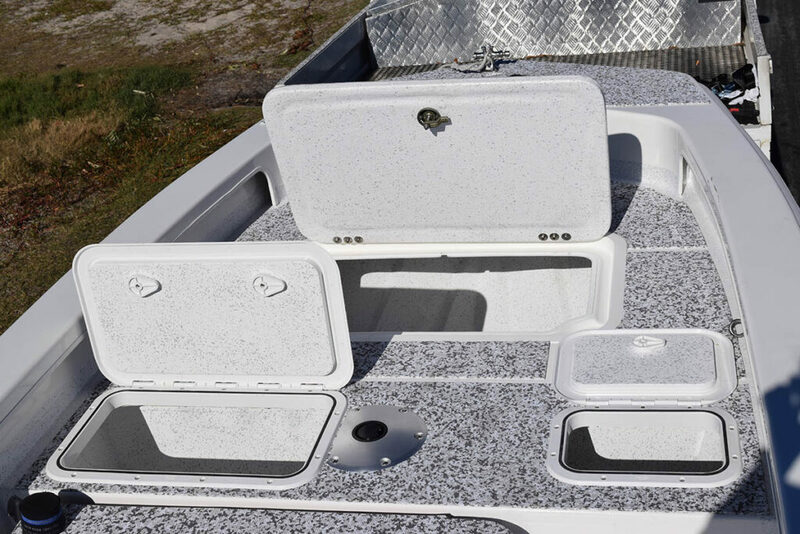 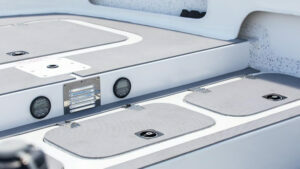 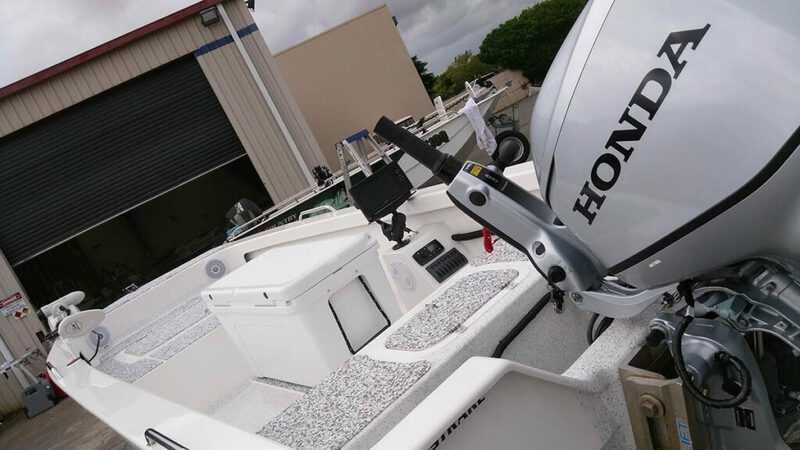 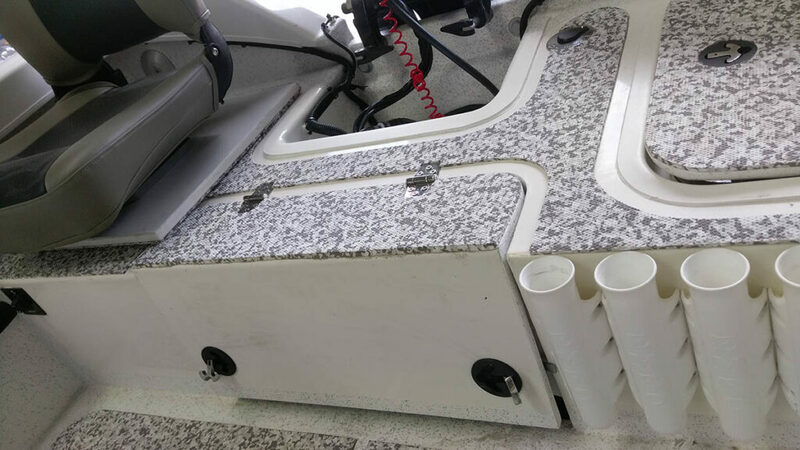 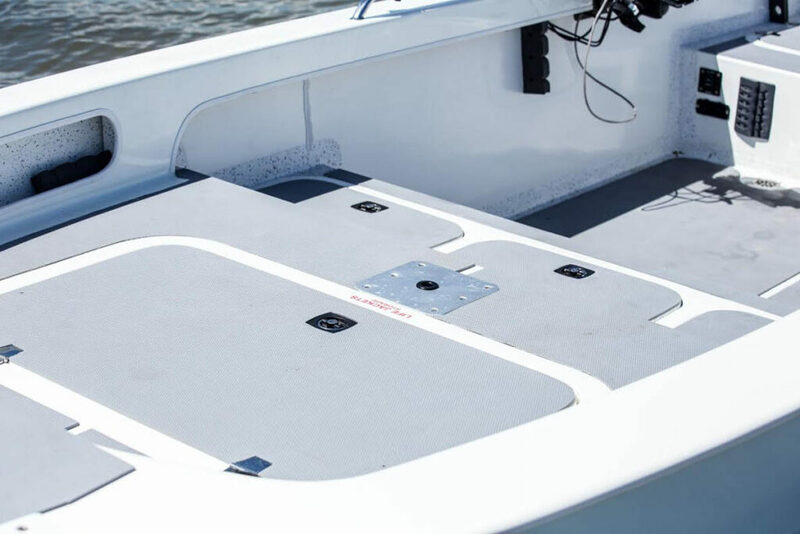 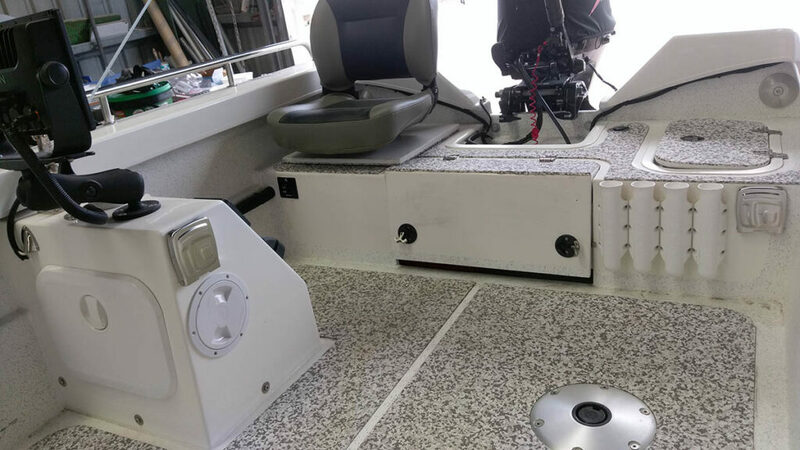 The hull has been designed to maximise speed from the smallest outboards, the layout is designed to the ultimate bass boat setup. 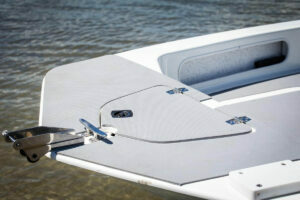 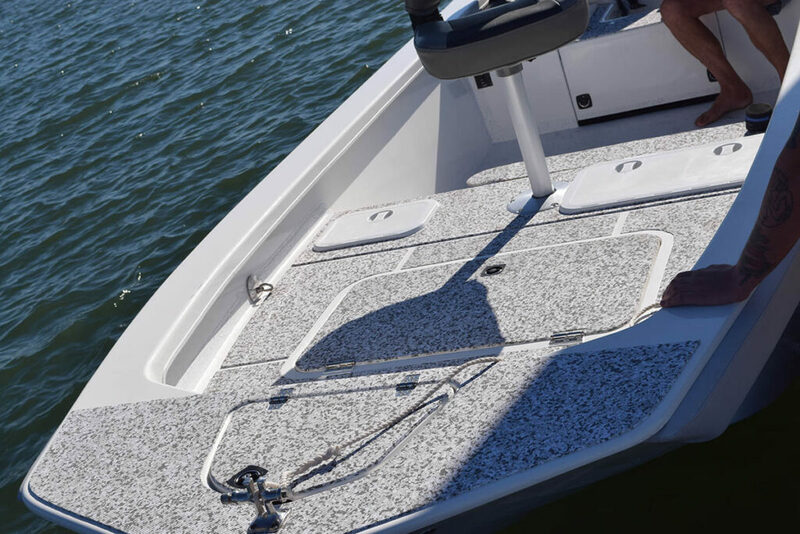 Designed in conjunction with a race boat builder, the lapstrake design pushes air under the hull creating a quick planing boat with less friction. 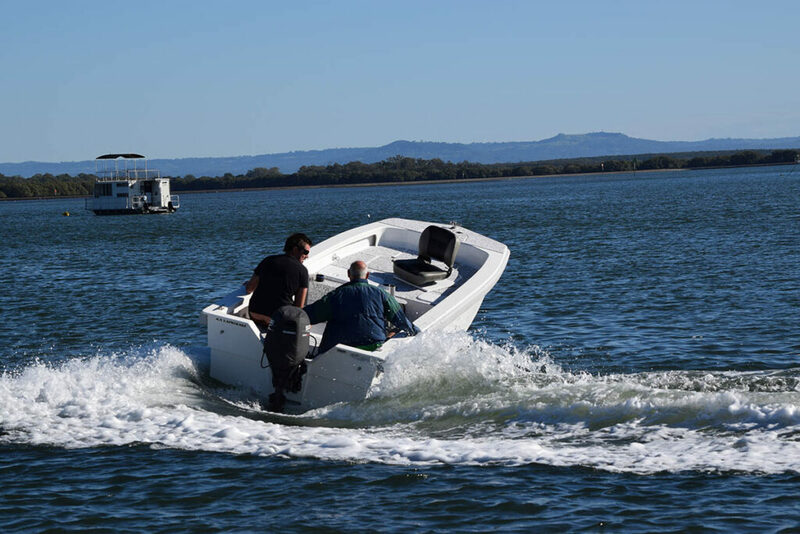 In turn the boat not only goes fast, it is also very economical on fuel. 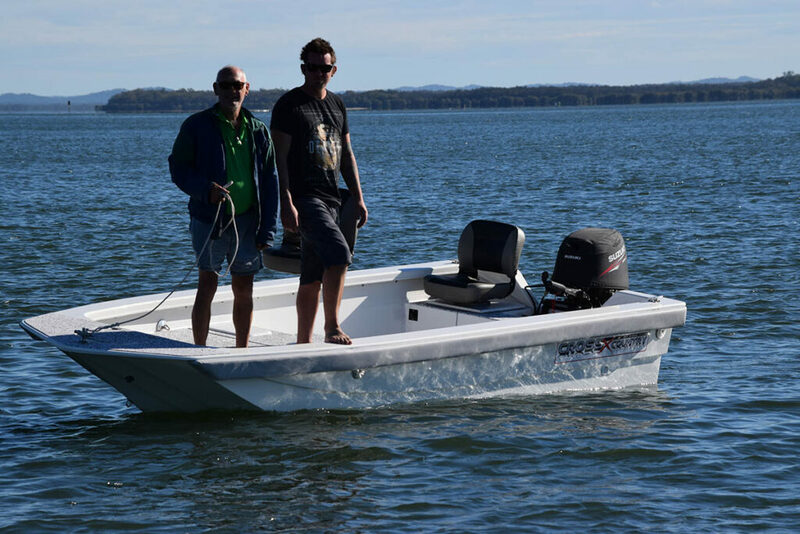 In house testing got 6.5km per litre at times. 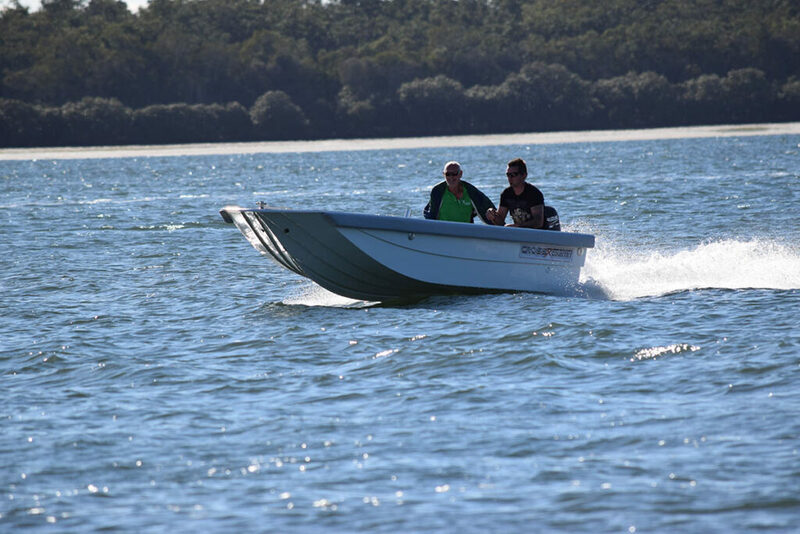 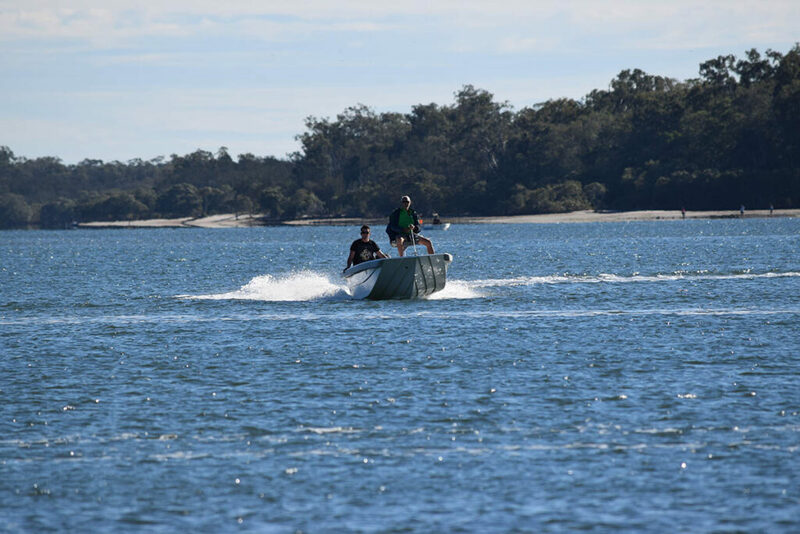 With a 30hp outboard we achieved 26knots with 2 people on board and 22knots with a 20hp.